Seattle is a diverse city—and a great city to find awesome places for bachelorette parties. 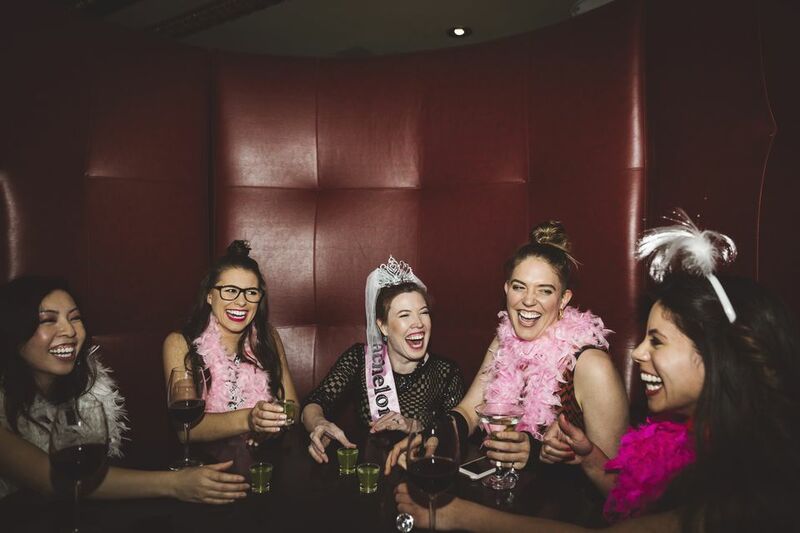 Whether you want to hit the town, party the night away, have a quiet dinner with friends​ or have something a little more unique in mind, Seattle’s network of restaurants and venues means you can find the bachelorette experience of your dreams. Here are just a few ideas to help you on your way. If you want to go dancing for your bachelorette party, the nightclubs of Pioneer Square may be ideal for you. Granted, there is nightlife located all around Seattle, but the top dance clubs are clustered in Pioneer Square, just south of downtown. Belltown also offers nightclubs within walking distance of each other. Both areas are great for club-hopping. Just 30 minutes from Seattle is Woodinville Wine Country, home to dozens of wineries. With a designated driver, touring the wineries and enjoying tastings and snacks at each makes an amazing bachelorette party. If you don’t want to bother with driving around, Woodinville’s Warehouse District is an even more appealing option. There, more than 30 wineries all have tasting rooms located in an industrial park, all within walking distance of each other. The Warehouse District is located in two clumps just off NE North Woodinville Way. Need a bachelorette idea for a theater nerd? No problem! See a show at the 5th Avenue Theatre or the Paramount, or go all out and book a night of dinner theater. Teatro Zinzanni at 222 Mercer Street (on the edge of Seattle Center) is a fun mix of circus, theatrics, and dinner. Tickets for shows start at over $100, but the experience is worth it! While not quite as grand, The Triple Door at 216 Union Street also offers a dinner theater experience, but with live music rather than the circus and acrobatic acts. The Bachelorette is about to get married—why not pick up a little extra skill before the big day? Pole dancing classes can be a great way to hang out with the girls. Despite the activity’s reputation as a somewhat skeevy art, pole dancing classes usually seek to celebrate femininity and fun. Seattle has a number of pole dancing schools and classes—many offer parties, too, either in your own home or at an established space. Going out for dinner, drinks, and/or dessert is a safe choice for just about anyone. Seattle’s restaurant scene includes plenty of ritzy spots as well as scads of casual ones. Many of Seattle’s romantic restaurants can double as places for fancy outings with friends. Likewise, look to one of the 24-hour restaurants in town, like 13 Coins, for a spot to hang out during the wee hours, or a place to keep the night going after you’ve been everywhere else. There’s absolutely no reason to confine your bachelorette party to indoor activities. Seattle and many of its residents are outdoorsy types. A day trip with your girlfriends to the mountains, area national parks, or out on the water can be a unique way to celebrate a coming wedding. Climb Mt. St. Helens, hike around Mt. Rainier, or spend a weekend at Lake Chelan. The options are numerous. If hitting up Pioneer Square is a little too intense for your crowd, consider a pub crawl. Seattle has tons of cute pubs and smaller bars that are much more laid back than Pioneer Square dance clubs. Pubs and small bars can be found in every neighborhood, from trendy Capitol Hill to Belltown to Pioneer Square to Ballard. You might also consider Seattle’s many brewpubs and microbreweries if the bride-to-be is a beer fan. An idea that’s getting a lot of buzz on social media sites is to make a scavenger hunt of your bachelorette party. Scavenger hunts can get the entire party out into the city, exploring and interacting. Or pick a district and focus on that—find quirky items at Capitol Hill shops, sample microbrews in Ballard, or even venture down south to Tacoma’s Antique Row—a cluster of about 20 antique shops filled with items just waiting to be discovered. Of course, not everyone wants to head out for a bachelorette party. Staying home with an interesting activity for everyone to enjoy is also an option. Host a party with games (perfect for gamers), have a crafting or cooking session, or even hire a tarot reader and have a tarot party.